Although Hollywood prefers its Samurai in the easily recognizable Tom Cruise/Ken Watanabe molds, the Japanese game industry has long projected a far more believable, tough-as-nails image for these legendary warriors via the Onimusha franchise. 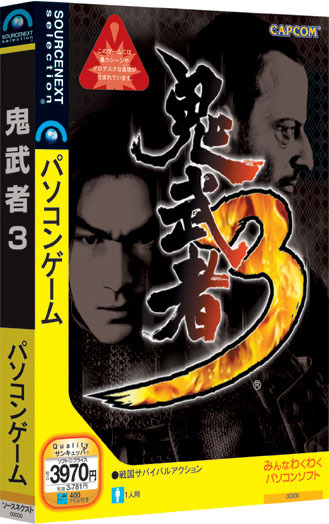 Thanks to distributor Sourcenext, Japan-side PC bods have only to wait until November 25 to get their fix of 16th-Century Samurai warlords Mitsuhide Akechi and Nobunaga Oda through the new port of the PS2 version of Onimusha 3. Only ¥3,790 at all good game stores (in Tokyo).